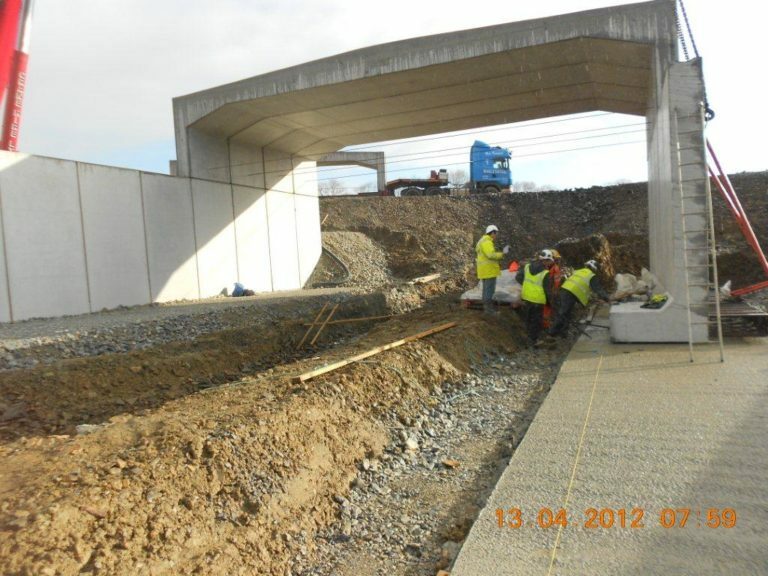 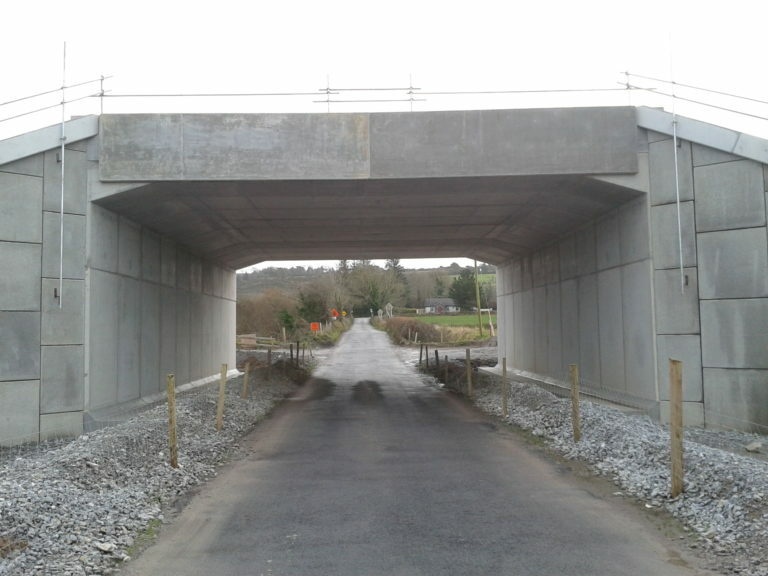 In June 2011 Bam Civil were awarded the contract to construct the N22 Tralee Bypass from the client Kerry County Council. 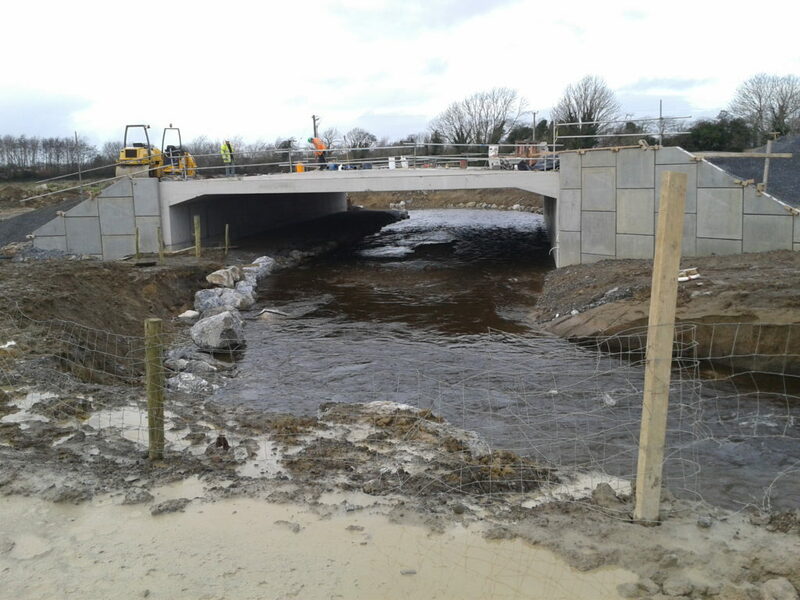 The job consisted of 2nr road bridges, a railway crossing at Ballinorig and a crossing of the river Lee at Camp, Ballyseedy plus over 15nr culvert underpasses for streams and farmers along the route. 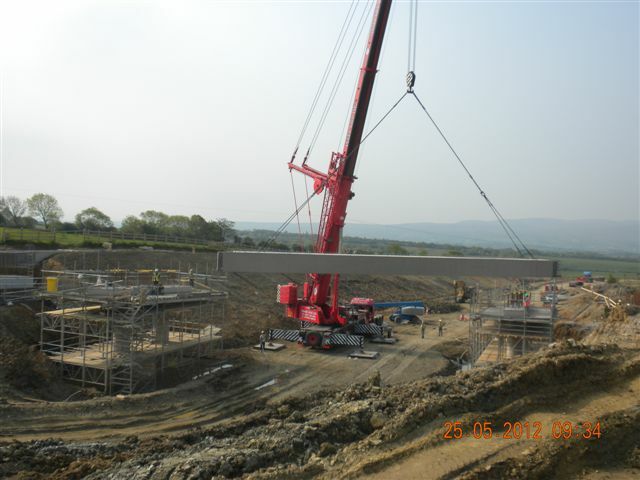 Construction commenced on site on the 4th August 2011 and was completed in late 2013. 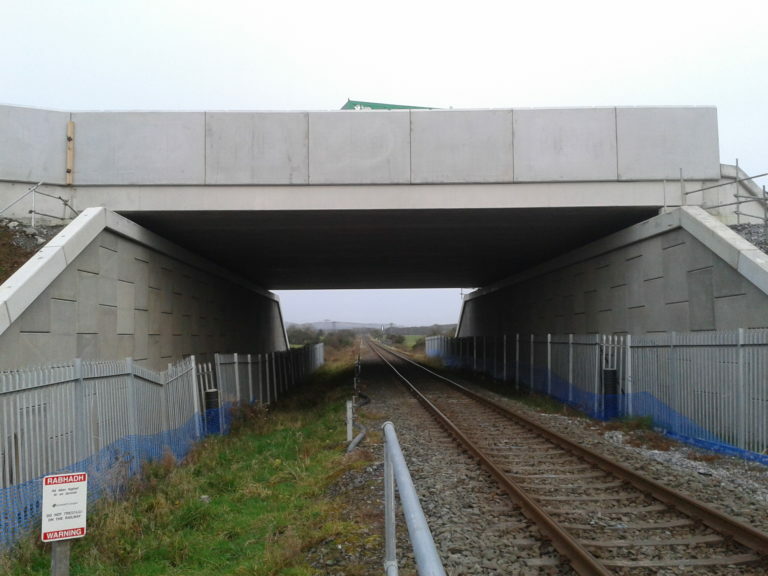 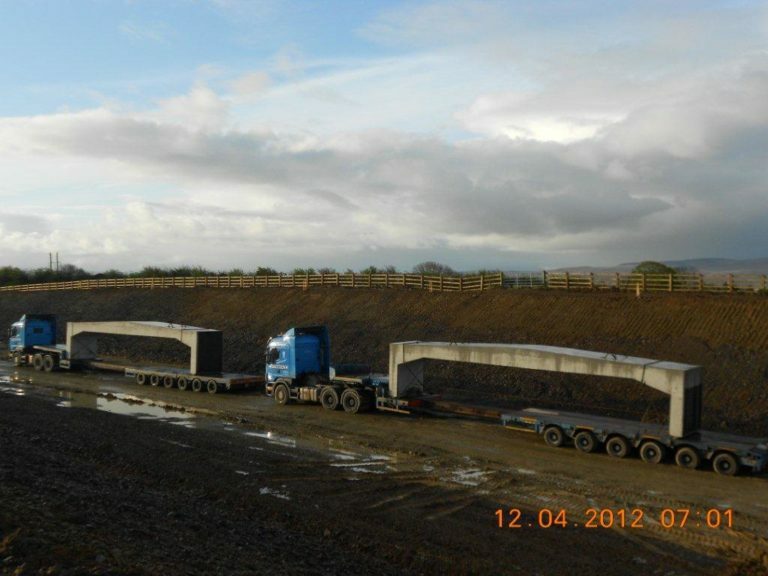 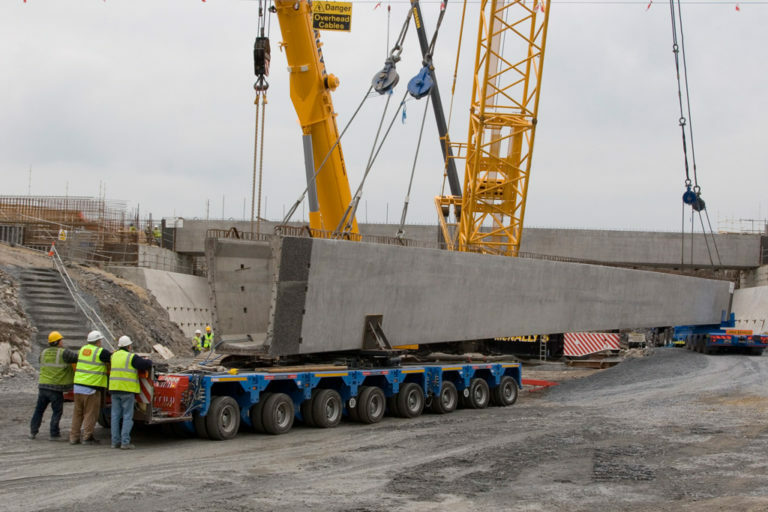 In late July 2011 Banagher Precast Concrete were awarded the contract to supply all precast elements for the job. In total there were 22nr structures ranging from culverts to large spanning W-Beams with all associated parapets, wingwalls, headbeams and retaining walls. Manufacture took place from September 2011 until late 2012, with deliveries also taking place over this period.